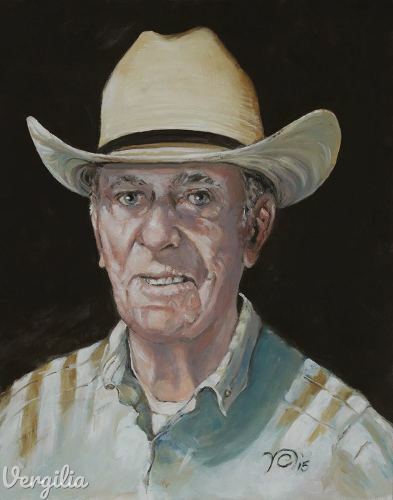 Portrait of Chuck Irwin, California bit and spur maker. 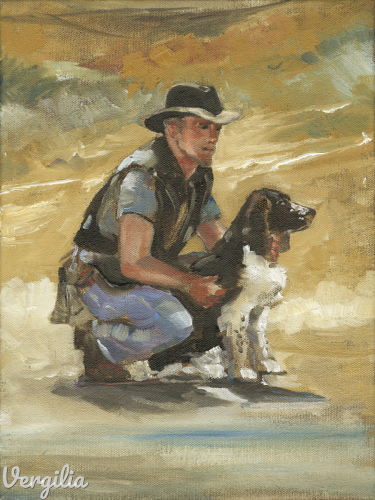 Young man training his Springer Spaniel, 9" x 12" oil on canvas with 1" per side brown frame. 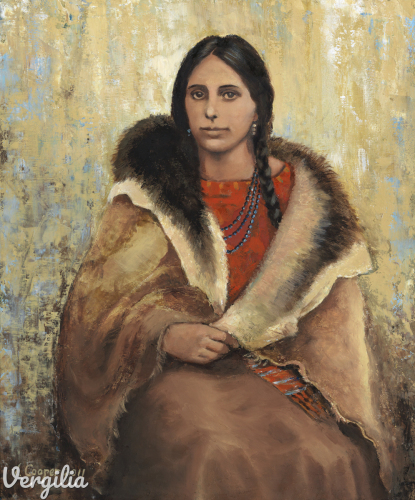 Oil on canvas: portrait of Cherokee woman adapted from an original charcoal drawing from the mid 1800s. Completed in 2011. 7.25" x 6"8.5" x 7"9.75" x 8"10" x 8"
Oil on canvas, 30"H x 24"W completed 2009 SOLD; prints available. 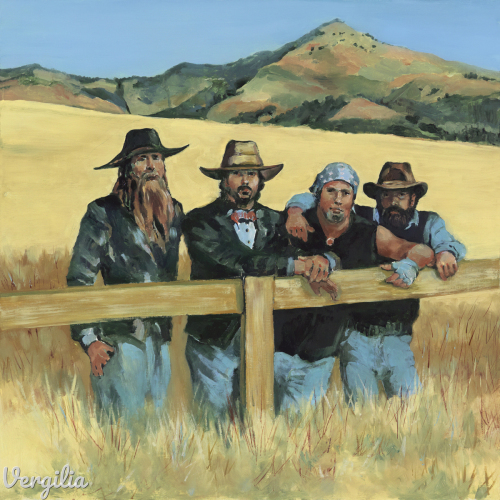 CD Cover for Grass Mountain Band. 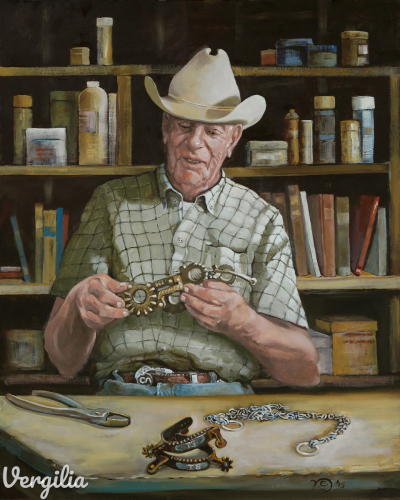 Original painting 14" x 14"
California bit and spur craftsman, Chuck Irwin, talking about his work. 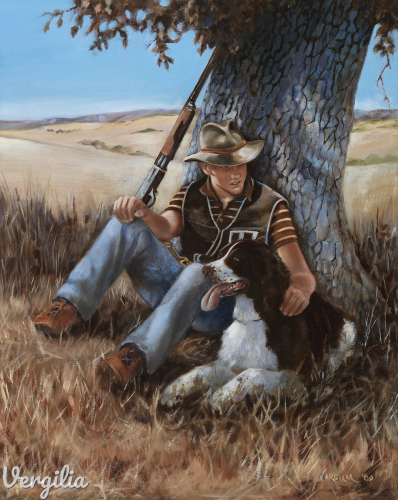 Framed dimensions: 29.5 inches wide by 35.5 inches high. 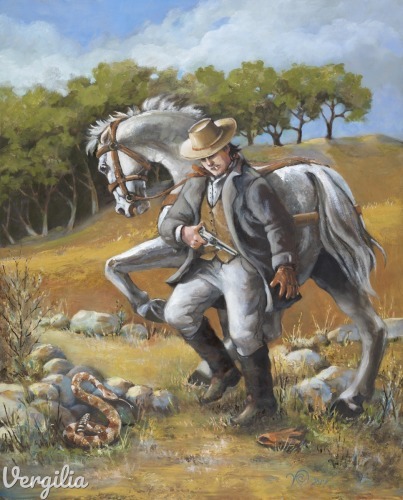 Possible scenario of Charlie Parkhurst (One Eyed Charlie) prior to the horse kick that caused the loss of her left eye. Born in 1812, she escaped from an orphanage and acted as a "stable boy" continuing the charade into her adulthood. Posing as a man she became a skilled stage coach driver. Unframed, oil on panel. 6.25" x 5"12.5" x 10"18.5" x 15"24.75" x 20"31" x 25"35" x 28.25"